From taking out a loan for college to purchasing their first home, our colleagues are proud to help their customers achieve big milestones. That’s why Citizens Bank also takes enormous pride in supporting our colleagues during their life-changing moments, such as starting or growing their families through adoption. We were recently named to the annual list of 100 Top Adoption Friendly Workplaces by the Dave Thomas Foundation for Adoption for the 7th year in a row. Since 2015, over 60 colleagues have taken advantage of the benefits we offer. November is National Adoption Month, so we caught up with a few colleagues across the bank to learn about what adoption has meant to them. 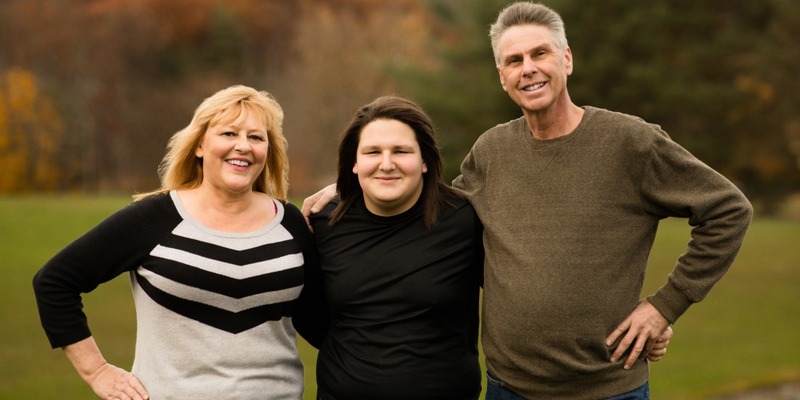 My husband Joe and I were apprehensive about our decision to adopt and how we were going to make it work, but after learning about the benefits online and knowing the bank was on our side, we felt confident moving forward with it. We actually met with the adoption agency on September 12, 2001. We were still very shaken up that day and nervous to fly — the 9/11 attacks had just occurred. But we traveled nonetheless, and I’m so glad we did. We met our beautiful 9-month-old son that day, jumping up and down in his crib and smiling. It was beautiful. When I finally returned to the office, my colleagues and managers had a party for me, complete with a cake with my new son's face on it! We never would have adopted him if it weren’t for Citizens and the supportive colleagues around me — that’s part of why I’ve been here 26 years! When I learned about the monetary and time-off benefits Citizens provides, I realized that we would be able to pursue adoption, something that would have been much more difficult without Citizens’ help. We have one of the best adoption benefits programs — it’s very impressive. We adopted my son in November 2017. He is about to turn 1, and with my biological son just turning 6, life is hectic in the Wallace household! My newest is energetic and outgoing, and I can tell he will be very close with his brother when he is older. My advice for would-be adoptive parents is simple: Do your research and keep your options open. It’s a long process, but that’s okay. Family never goes away. It’s worth the wait. I like to say that a child isn’t born under your heart, but in it. And just after Thanksgiving 2002, my husband Jim and I brought home the children born in our hearts: our two sons from an orphanage in Russia. I remember our amazing first meeting. We met them for the first time in the orphanage. All we knew about them at the time was that they were two healthy, sibling boys. We spent 4 weeks in Russia getting to know them. One was quiet, the other more outgoing. The boys didn’t speak English, but we fell in love immediately. It was a surreal experience when it finally happened. Citizens played such an integral role in my family’s journey. When the adoption agency required us to take 3 months off during the process, the monetary benefit we received from Citizens made it feasible for us. I’ve worked here for 30 years, and its support, like the adoption benefits, that reinforces my decision to stay here all this time. I’m grateful every day for the gifts our sons have given us — the gift of parenting. I remember the moment my wife and I decided we wanted to adopt vividly. 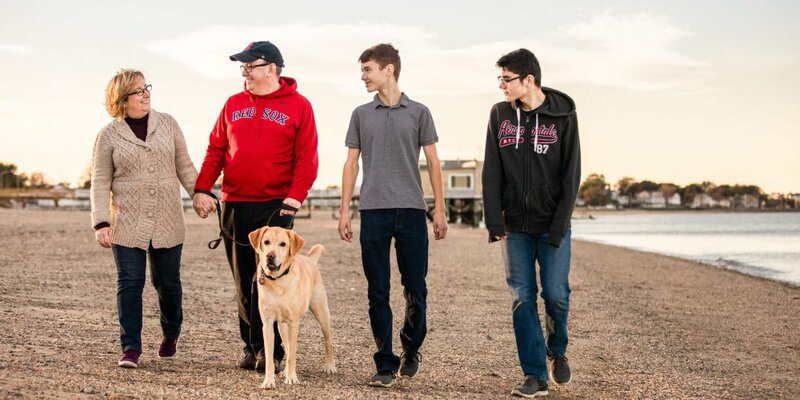 We were taking a walk, talking about our family and I said spontaneously, “We could always adopt.” With both sons heading off to college, we were about to be empty nesters. 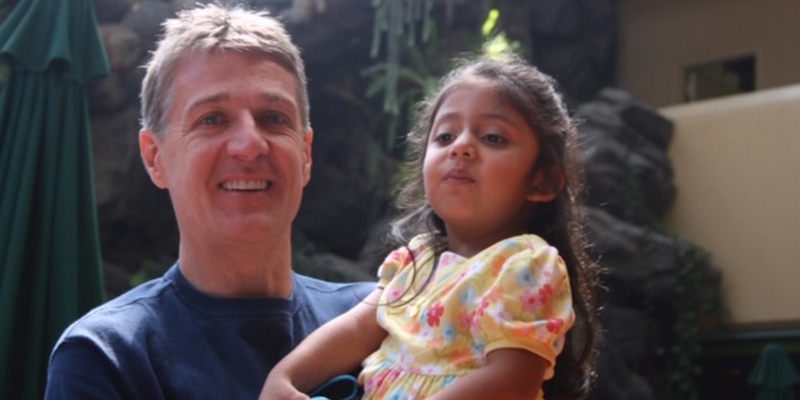 We always knew we wanted a bigger family, and so this off-the-cuff remark became the beginning of a one-year process to bring home my adopted daughter from Guatemala. We met her for the first time when she was 4 at a hotel in Guatemala. We had seen a handful of pictures beforehand, but meeting her was a beautiful moment — it took all of 5 seconds for that connection to happen and I knew she was my daughter. She is now nearly 15 and has a strong bond with the whole family – including her protective older brothers. My advice to anyone thinking about adoption is to start doing some research and learn more about it. 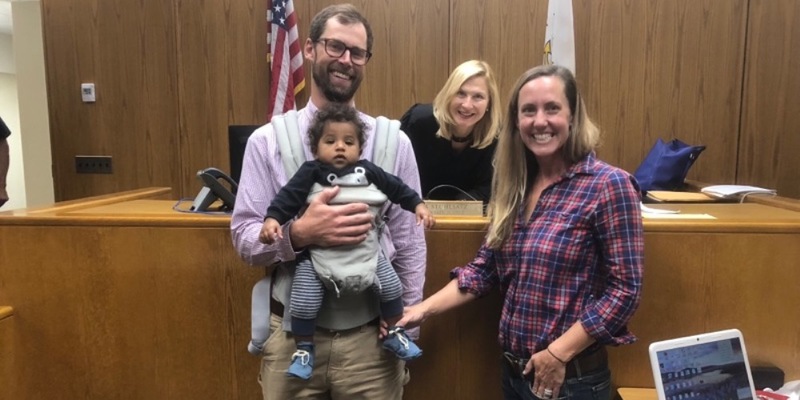 The cost of adoption can be a big obstacle, and I’m so happy that Citizens can have a hand in helping our colleagues adopt. I’ve had a handful of colleagues tell me that they only have their child because of the benefit that Citizens provided. That’s an impactful statement. It’s powerful. Learn more about the benefits we offer and ways we support and empower our hardworking colleagues.